I can't believe it's already April 1st! I have a few things I want to cover in today's post. Book your session today! My schedule is filling up quickly! 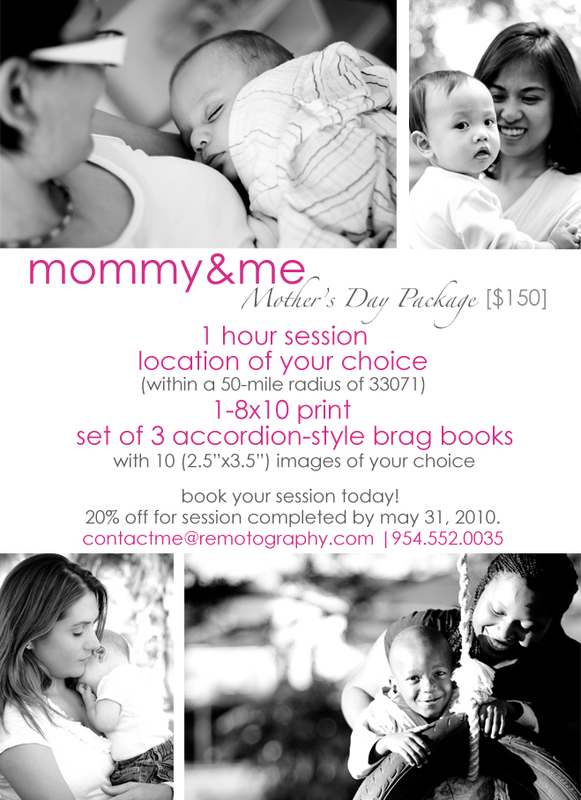 I'm offering as part of the Mommy & Me package. Each book holds 10 of your favorite images measuring 2.5"x3.5". They are great to give as gifts or to carry in your purse or display on your desk at work. They come in 3 types of material: linen, silk & chrome. Plans were not executed as scheduled but I'm sure Valeria & I will get together next week. Even though I didn't get my weekly treat, at least someone in my household did. My daughter Mady is coming down with something or possibly teething. 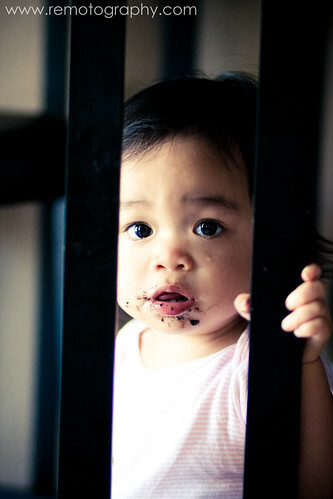 Whatever it may be, she hasn't been the happiest little baby on the block, hence the tears. 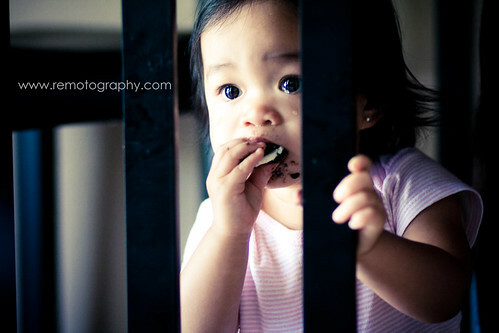 But mommy knows what will make those tears go away...Oreos! Yum! sitting underneath our breakfast table. Oh, one more thing...don't forget to check out my tweets! I leave for Costa Rica in 4.5 hours and I will be keeping you updated via twitter.